Room Magic is a kids’ furniture collection with superior design quality targeted specifically for young children. The American Association of Furniture Designers (AAFD) honored this furniture line by giving it the coveted Pinnacle Award. Now that’s impressive! Room Magic was created by Karen Andrea of Santa Barbara, CA. With a graphic design background, Andrea started designing furniture simply because her 5yr old daughter needed a bedroom set and she was unable to find any children’s bedroom furniture sets that matched the personality of a child: bold, fun, bright and full of imagination. She didn’t want a furniture collection that just looked like pint-sized adult bedroom furniture with common color choices and classic designs. Andrea took matters into her own hands using the creative ideas of her daughter as her muse and began developing furniture that would infuse a child’s bedroom with fun and magic. The result is a Matisse inspired furniture line with lively, playful “cut outs” of kissing fish, whimsical lizards, tea cups and more, all of which are bright in color and finished naturally in birch wood. 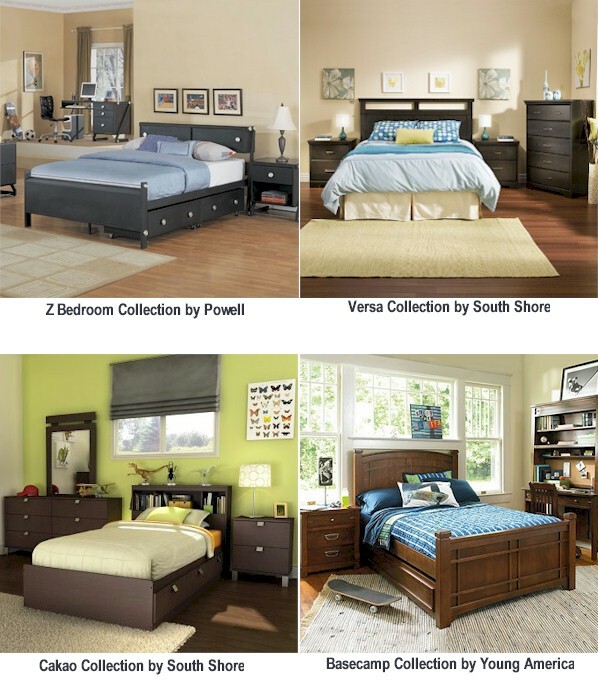 In total, Room Magic offers seven different kids’ bedroom furniture collections, each with a unique theme for boys and girls. 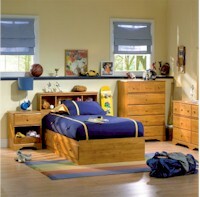 Each collection includes furniture, accessories and bedding, so a child’s bedroom can easily have a designer look. 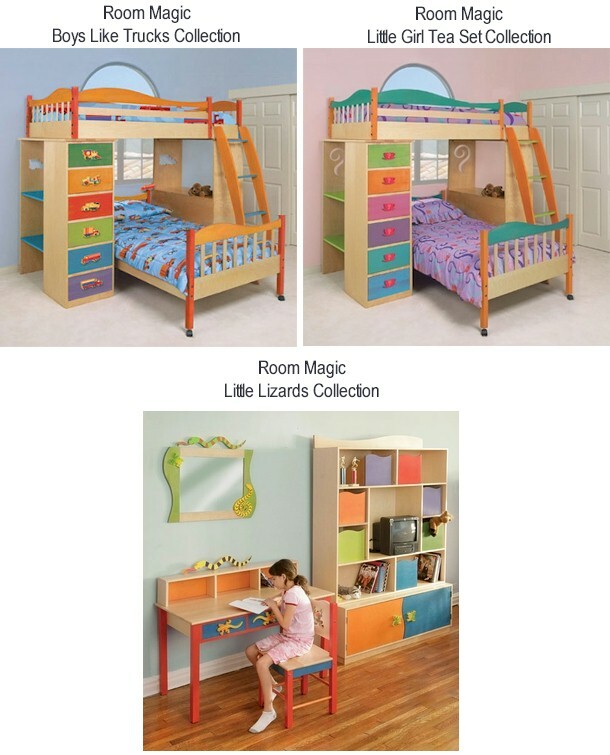 Check out some of these fun and fabulous bedroom furniture sets below and visit SimplyKidsFurniture.com to check out the entire Room Magic Furniture line today!